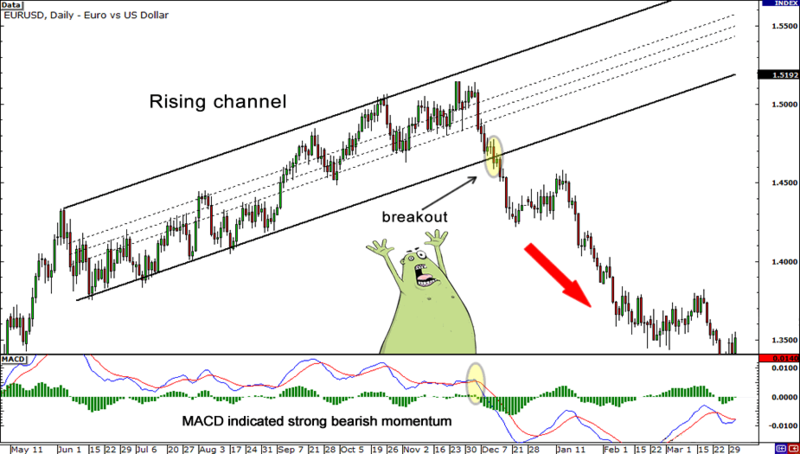 For more information check out our lesson on chart patterns. 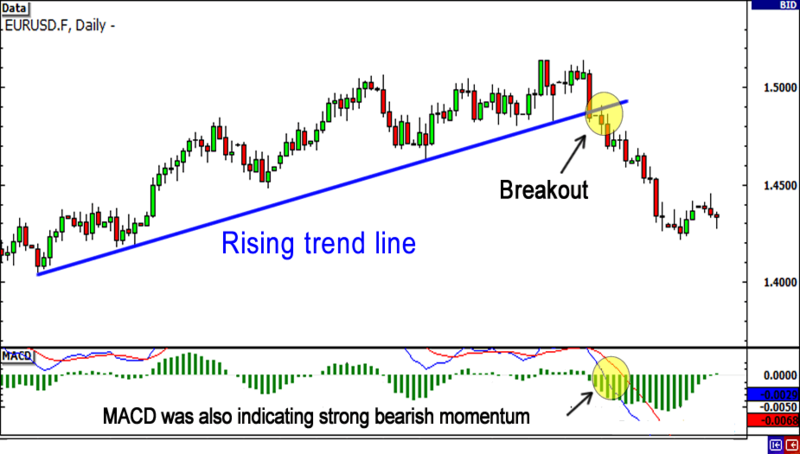 In addition to chart patterns, there are several tools and indicators you can use to supplement your case for a reversal breakout. When drawing trend lines it is best if you can connect at least two tops or bottoms together. The more tops or bottoms that connect, the stronger the trend line. 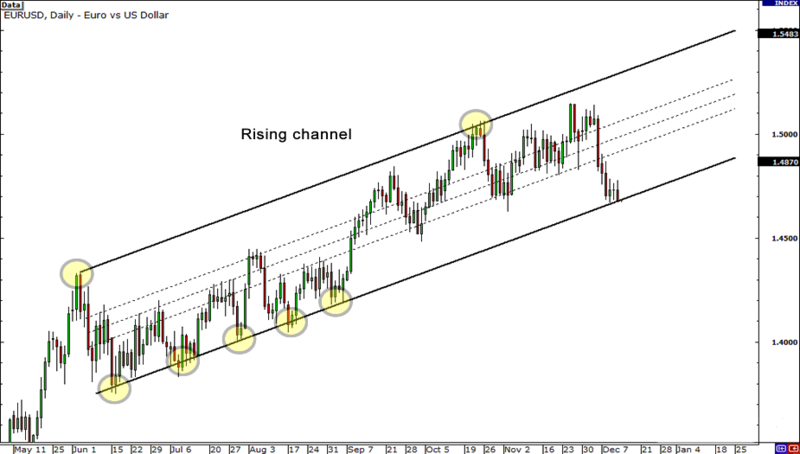 So how can you use trend lines to your advantage? When the price approaches your trend line, only two things can happen. The third way you can spot breakout opportunities is by looking for triangles. Triangles are formed when the market price starts off volatile and begins to consolidate into a tight range. To help you memorize the different types of triangle breakouts, just think of facial breakouts. Ascending triangles usually breakout to the upside. So when you think of ascending triangles, think of breaking out on your forehead.